When it comes to technology, I’m not the sharpest knife in the drawer (not to mention being sort of a Luddite). I need things very, very simple. I thought it would be helpful to a list of the sites that I’ve found most helpful and accessible in explaining how to use key Web 2.0 tools like blogs, wikis, Flickr, social bookmarking, RSS readers, etc. You can also find links to the sites I list here, and many more, on the Teachers’ Page on my website. There are three sites that I think stand above all the others. They all provide very understandable step-by-step explanations for a variety of key tools. And I think all three are equally good. One is Sue Waters’ Mobile Technology In TAFE Wiki. Another is Vicki Davis’ Cool Cat Teacher Wiki. And the third great site on my list is Russell Stannard’s Teacher Training Videos. It would probably be okay to stop reading right here, since these three sites more than likely can provide you with all the information you need. However, there are a few more excellent resources you might want to check-out if you have the time. There are two other places that offer exceptional information on a number of Web 2.0 tools. One is Common Craft, which makes simple explanatory videos. The other is Tim Davies’ blog, where you can print-out a series of one-page guides he wrote about Web 2.0 resources. Other sites have good resources for specific tools. Teachers First, which offers a huge amount of free resources to educators, has particularly good tutorials on blogs and wikis. I’d like to mention an exceptional slideshow developed by Vicki Davis and many others that explains how to use Google Doc’s new Presentations tool. The best explanation I’ve seen about what a wiki is and how it works has been posted by the Ask Auntie Web blog. Feel free to make suggestions of other sites you’ve found useful. Webware has posted online videos and links to more that give tutorials on how to use Google Reader.Even though all the videos focus on only one tool, I’m still adding the post to this list. Using RSS is probably one of the first things new to Web 2.0 will want to learn, and the videos incorporate some of the recent changes to Google Reader. Sue Waters has created a wiki called PLN Yourself that’s designed to help people create their own Personal Learning Networks. She basically provides how-to guides that people can follow to start their own blogs, subscribe to others, use social bookmarking, join a “Ning” community, and use Twitter. Tom Barrett is known for his “Interesting Ways” series, which include numerous ideas on how to use Web 2.0 applications (including Wordle, iPod, Google Wave, Prezi, etc.) in the classroom. The series, however, is not only limited to technology, and also includes topics like supporting reading comprehension and spelling. He’s put them all in one place now. You definitely want to bookmark his Interesting Ways page. Educational Origami has several very nice printable Starter Sheets on using different Web 2.0 tools. 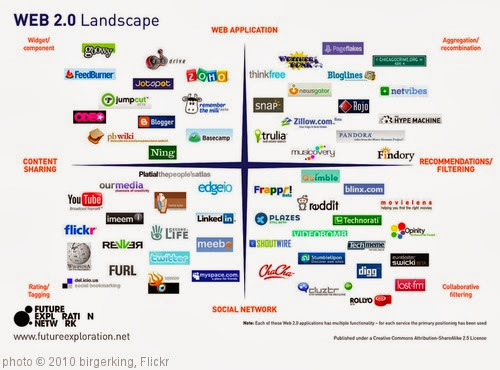 Here are several Common Craft videos that simply explain several Web 2.0 tools. I’ve mentioned these before, but it’s possible that these versions might be more likely to get through some school content filters. Miguel Guhlin has put together an excellent collection of useful videos. “The Amazing Web 2.0 Projects Book,” edited by Terry Freedman, is a must-read for anybody who wants to use Web 2.0 applications with their students. # The benefits of using Web 2.0 applications. # The challenges of using Web 2.0 applications. # … And what they recommend you do if you run them. # What were the learning outcomes? Google Documents For Teachers is a new free eBook from Richard Byrne. Palm Breeze CAFE is a weekly show in the School District of Palm Beach County. Hosted by Lee Keller and Kim Cavanaugh, it presents an informal look at technology in education, often as it applies to this school district. The show is aired online every Wednesday, locally on Comcast channel 19 many times each week, and features snippets for on demand viewing. 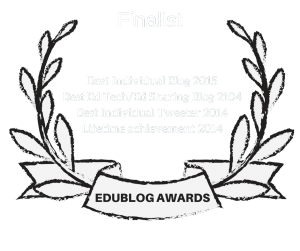 The shows are short, accessible to those experienced in ed tech and to novices, and engaging. The site is definitely worth a visit. Learn It In Five provides short videos teaching teachers how to use various Web 2.0 tools. A teacher’s guide to using audio and podcasting in the classroom is a nice overview of applications to use in the classroom, including videos. It was created by Kit Hard. “The Super Book Of Web Tools For Educators” is a seventy page free eBook co-written by many popular education bloggers and organized by Richard Byrne. It’s embedded below (Richard has links to versions hosted on other document sites if my embed is blocked by your district — just go to his link). I was honored to ask to write the section on tools for English Language Learners. There’s a lot of great stuff in it! Social Brite has a series of tutorials on how to use social media tools. Social Media Quickstarter is a very helpful series of videos from a group called Constant Contact. Some of the videos relate to business use of social media, but most provide the basics to everybody about Twitter, Linked In, YouTube, Blogging, Facebook, etc. Richard Byrne has created a bunch of useful tutorials on how to use various Google tools. The Complete Educator’s Guide to Using Google Reader is another great post by Sue Waters. 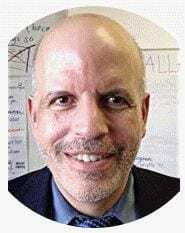 Teacher Tech Vids by Steve Johnson is a must-see site for the novice to the advanced tech user. Social Networking 101: A Beginner’s Guide to Facebook, Twitter, Google+, & LinkedIn is from PC Magazine. Magic in Education! has nice tutorials on Web 2.0 applications. Google Gooru has lots of videos explaining how to use Google products. 12 Essential Social Media Cheat Sheets is from Mashable. Under Ten Minutes showcases short videos showing teachers how to use new tech tools. Google Tips is a new site from Google that provides simple…tips to people about how to use Google tools. Thanks to Richard Byrne for the tip. Richard Byrne has been posting comparison charts of web tools performing specific tasks (for example, reviewing several quiz-creating sites). He’s just put all them together in one place, and you’ll for sure want to bookmark it. Richard Byrne has collected all sixty of his “how to” videos for ed tech tools — and he’s put them all in one place. “The Teacher’s Guide To Tech” Looks Great! Richard Byrne has created a gift for us all in his newly-published, and free, The Practical Ed Tech Handbook. In The Practical Ed Tech Handbook you will find resources arranged in seven categories; communication with students & parents, web search strategies, digital citizenship, video creation, audio production, backchannels & informal assessment, and digital portfolios. Richard Byrne has just published Practical Ed Tech Handbook – Updated for 2016-17. You can get it free at that link. Richard Byrne now has 500 videos on his YouTube Channel teaching how to use different web tools. All of my recent lists can be found at Websites Of The Year. Thank you for all of your Best Of lists! I am looking forward to reading them more in-depth. I think its wierd you include a text book corporation in your list of best web sites…isn’t this a dualistic approach to web 2.0 uses in education?? I’m not quite sure what you mean by a “dualistic approach,” so I might not be answering the question. But I figure if a textbook publisher wants to provide excellent materials online for free, why shouldn’t we take advantage of the opportunity? Thanks for listing my wiki, I use that for my presentations and other information and I’m glad that it is helpful! It is sort of a holding place/ archive for everything. Thanks for including me. Hi Larry – thanks for including my wiki – I am glad you find it useful and thanks for taking time to put together your lists. Thanks for the kind words re my tutorials page, I shall be adding some more in time. This is a great collection. Thank you. I have one for you for elementary. A wonderful open program for helping early readers write. It is called my Story Maker. I wish they made more versions of it, and the printing has been a little buggy, but the kids love it. Also, you can’t go back and edit a story. Your ELL beginners might love this.